President Donald Trump’s personal lawyer Rudy Giuliani said Thursday the president agreed in June he "shouldn't do pardons" while special counsel Robert Mueller’s investigation is ongoing, NBC News reported. Giuliani made the comments after The Washington Post, citing Giuliani, reported that Trump asked his lawyers for advice on the possibility of pardoning his former campaign chairman, Paul Manafort, and other aides accused of crimes. He reportedly said Trump’s lawyers counseled against it and the president agreed and did not push the issue farther. Giuliani told NBC News later Thursday that Trump did not specifically ask about Manafort in a June meeting. 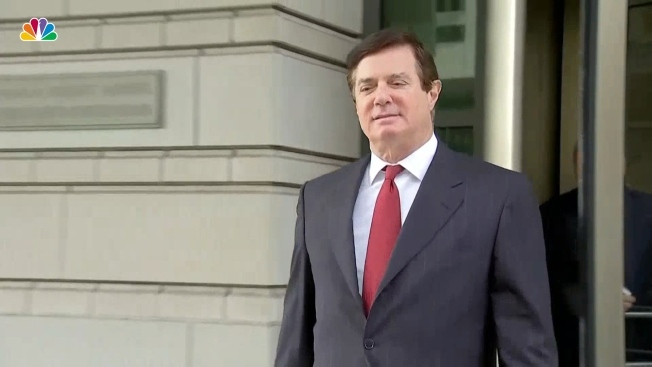 Manafort was convicted Tuesday by a Virginia jury of financial crimes.